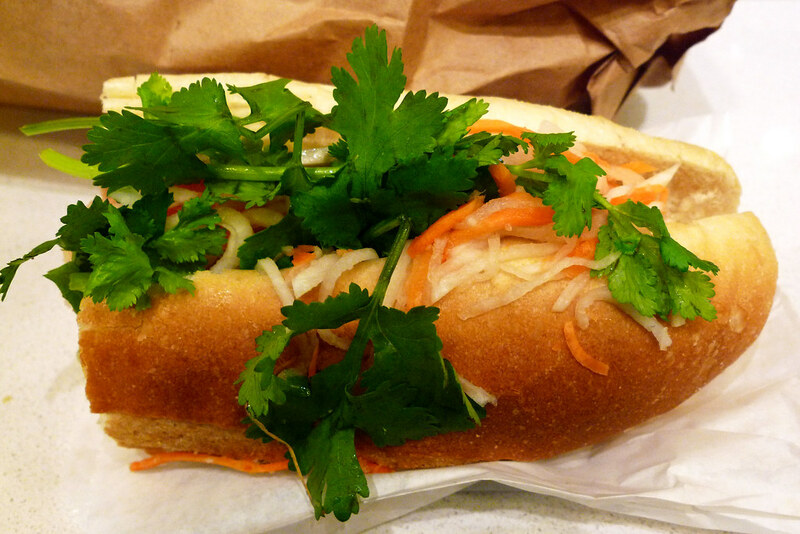 Here, Gary talks about the bánh mì he just can’t get enough of. Bánh Mì Saigon wasn’t always my favorite New York City bánh mì, mainly because I’d never had it. For years, I’d been more than content with those from Paris Sandwich – after all, they really did have the best baguette and a good filling to bread ratio. Also, the total bánh mì package was pretty darned tasty. But I’d heard from enough reliable sources (i.e. fellow food enthusiasts) that Bánh Mì Saigon’s sandwiches were ones to be reckoned with so I just had to get me some of that. Man, am I glad I did. Back in the day, tucked away in the back of a narrow storefront with a jewelry store up front on Mott St., it was easy to pass the place by. Which I apparently did – a lot. But walking in and seeing the long line during lunch or the sad expressions of people’s faces near the end of the day when they announced they’d run out of baguettes was a clear sign this place knew what it was doing. 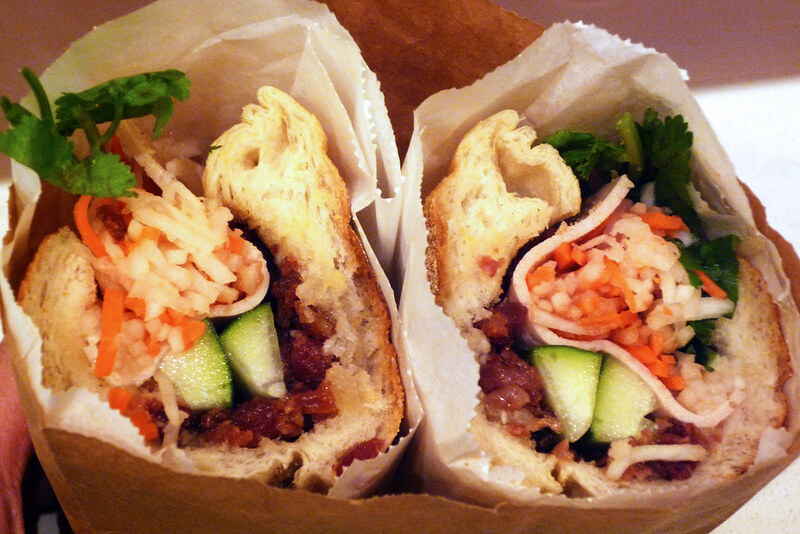 Clearly, from looking at the above photo, you can see that Bánh Mì Saigon clearly knows what they’re doing. Exquisitely roasted pork, the requisite cold cuts, pickled daikon and carrots, and cilantro – they’re all there. More importantly, though, they’re all there in abundance. This is not the dainty bánh mì of Paris Sandwich. This here is a beast of a sandwich. And it’s only $3.75, a bargain if I ever saw one. Best of all, it’s a very delicious sandwich and, with it being filled to the brim, a very satisfying lunch. By the way, they’ve since moved from that narrow Mott St. storefront to a larger one on Grand St. that proudly displays in large letters at the entrance that it is Bánh Mì Saigon. The jewelry store, though, still exists at the front. Hey, maybe it’s their good luck charm. After all, why change a good thing when you don’t have to?